Deadly enemies or the best of friends? We say, can’t it be both? 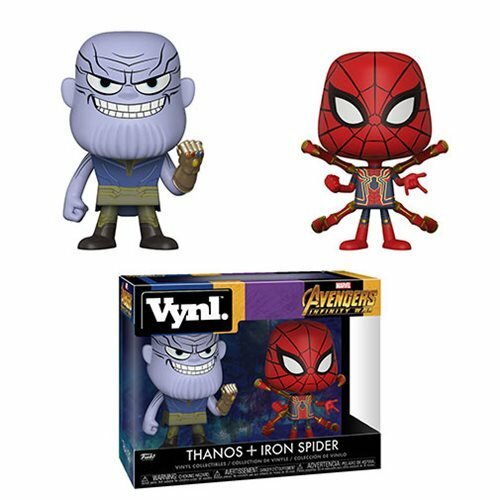 Thanos and Iron Spider make up this set of stylized bobble head vinyl figures, each measuring approximately 3 3/4-inches tall. This Avengers: Infinity War Thanos and Iron Spider Vynl. Figure 2-Pack comes packaged in a window display box. Ages 3 and up.